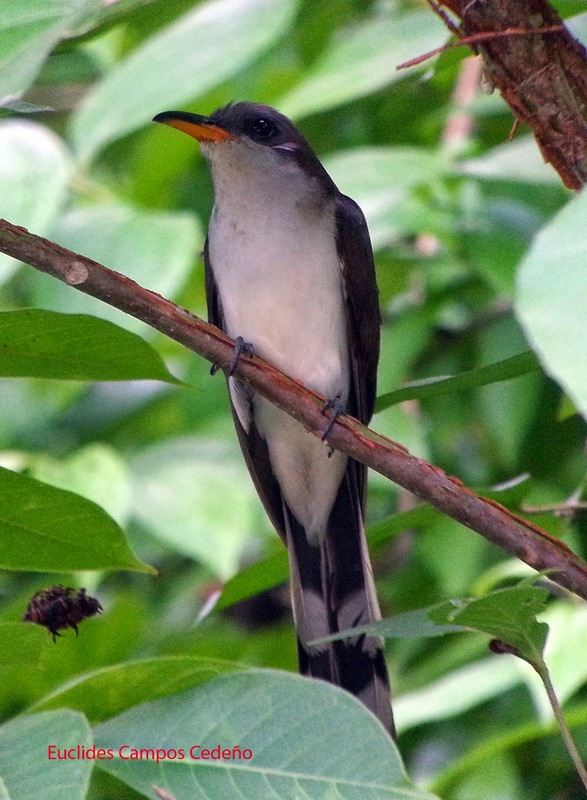 My first encounter with this mistery cuckoo was on July 12, the same day Arie Gilbert and Ian Resnick and me saw the Gray-bellied Hawk. We were at Mono Bridge, Bayano early in the morning trying to see a Black Antshrike, suddenly I heard something, a rattle call that I have never heard before. I started playing right away those vagrants cuckoos calls and finally I decided to play Pearly-breasted Cuckoo. 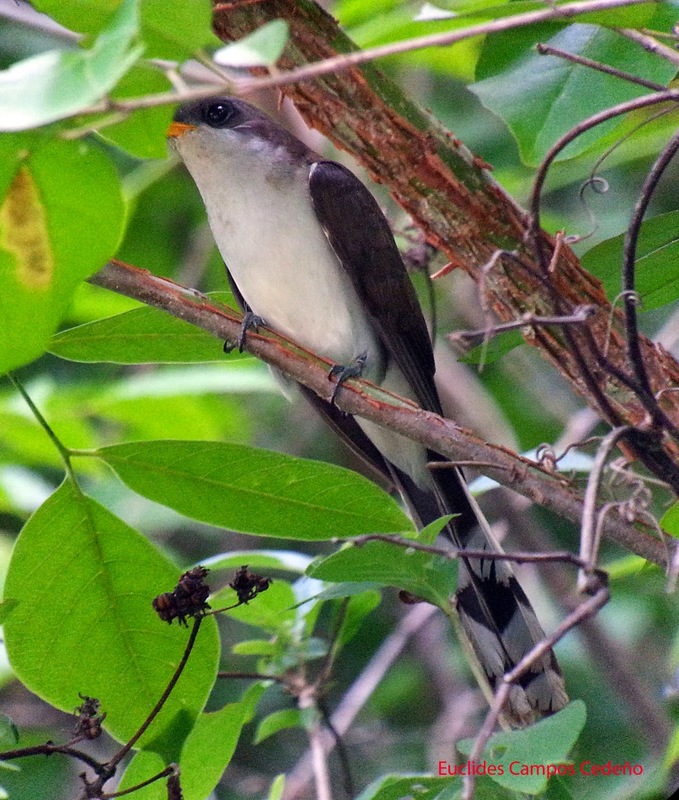 The cuckoo started making the rattle call really strong then it flew over our heads and perched on a top of a tree to fly again, this time we got a glimpse of a bird like Yellow-billed Cuckoo size (We could not see wing color but did we see it carring a twig). This cuckoo kept doing the same rattle call but we could not see it anymore. We visited the place twice but nothing. I was joking with my client that I got almost two lifers and a half. The next half I will complete in a couple of days. So I decided to visit Bayano Lake today (July 25) with Alexis Guevara. We stop again at Rio Mono Bridge. I played Pearly-breasted Cuckoo for almost 15 minutes, then Alexis told me there were two small cuckoos heading my way. One of these cuckoos came close and perched for a while in the area. We did not see any rufous on the primary or yellow eye ring as the pictures show. We spent a while there in the place when Alexis saw something moving and surprise! They were building a nest. 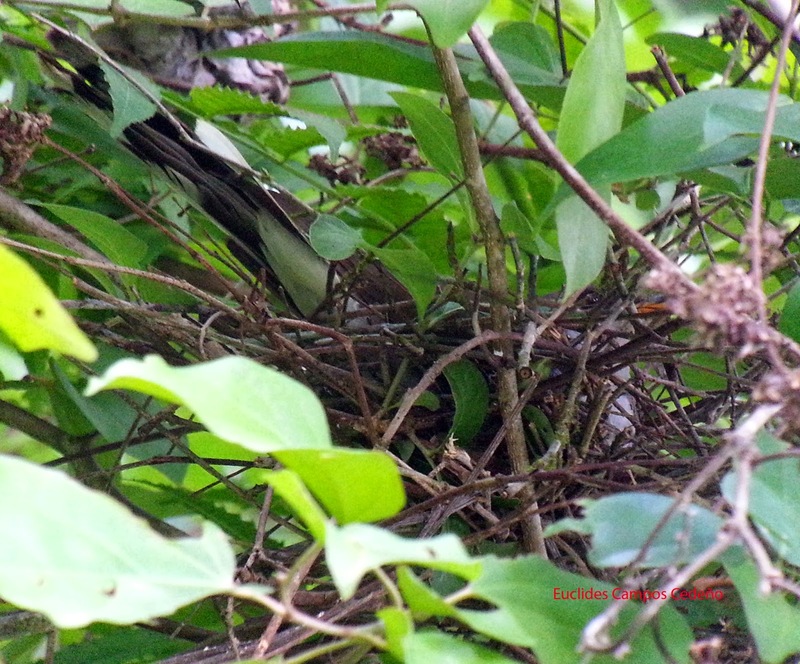 One of the cuckoos was in the nest.